I am just blown away by Maxthon, far and away my favorite browser. Even more impressive is the fact that its primarily developed by one person with a community of plug-in developers. of course its developed upon the foundation of IE, which provides its core functions but the level of innovation is staggering. It reinforces my belief that a few good programmers who understand their market are better than a team ten times the size. If you want to read about productivity in programmers, read peopleware, but if you want the best browser get Maxthon and donate. What promoted me to write today, RSS reader integration. But there are loads of other great features I have written about in the past. The immediate usefulness of Linux running under Windows is obvious. You can use all the Windows drivers for all the peripherals that don’t run under Linux. Drivers have always been an issue with Linux as PC users have gotten spoiled with Windows driver support. Today’s user wants to grab just about anything and not worry about installing it and making it work. I have spent probably 30% of my working life writing reports and presentations, and now the thought of writing them fills me with dread. At this point those who know me probably think I am going to write about arthritic hands, but no, its the medium that’s the problem. Having started to write a blog it’s difficult to contemplate another medium for writing, and having started working with mind maps and concept maps it’s difficult to go back to sequential presentations. I would happily accept wiki’s for collaborative authoring as an alternative to blogs, but blogs have the amazing benefit of providing the author with full control of content and presentation, and allow the author to build not just on their own knowledge but on the knowledge of others, “on the shoulders of giants” and all that. On the subject of giants Don Box motivated me to write this little post. I have worked in desktop computing for many years and promoted the need for different desktop capabilities to meet the needs of different user communities. I have always sought to address this with my corporate customers, whilst also trying to ensure some common enterprise application delivery capability was shared by all, in my company we call this a WorkStyle. 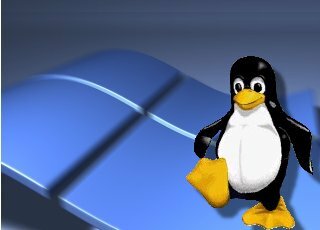 I was therefore greatly encouraged to see that The Open Source Development Lab last week released four specifications for its Desktop Linux Capabilities document, which outlines what requirements a Linux distribution should have to meet the needs of certain desktop Linux users. This document describes the topic in more detail. I am being bombarded by information and initiatives that relate to thinking from all directions. I thought it would be interesting to list the main ones and try and identify the many different perspectives. Structure and rigour. It all started with David Pollard’s structured problem solving process, which although not a perfect fit for me was an interesting insight into how formal and rigorous the process could be. Quick and intuitive. Then I read reviews of books that discussed rapid decision making, I have not explored them further but they support my gut feeling that my intuition is a valuable skill that I should nurture. I don’t have a very good memory for facts, but am good at remembering relationships. I have specifically avoided learning memory improvement techniques because I worry that whilst I will be better at remembering names my intuition and innovation will suffer. Innovation. I came across a blog entry on types of innovation, quickly followed by one of my colleagues sending me a presentation, which led to me exploring innovation processes, in particular TRIZ and some of the tools that support it.